Seth Landman’s poetry is not perfect. It’s digressive and recursive, rambling and at times even ranting. It feels raw, unedited, and more like a draft than most contemporary poetry – which is exactly why it is important. There is, perhaps, no greater sign of the commoditization of poetry than the fact that The Complete Idiot’s Guide to Writing Poetry exists; nonetheless, Moustaki’s description shoots an arrow deep in the bull’s eye of problematically pat and perfect poetry. Even the editors of The Princeton Encyclopedia of Poetry and Poetics agree: the entry for “Cultural Studies and Poetry” notes that critics who read poetry through the lens of cultural studies often eschew the workshop poem “as a hegemonic genre, a formula, and a commodity.” Like Moustaki, the authors describe the workshop poem in terms of a formula: these poems contain “20-40 prosaic free-verse lines cast in a confessional, sometimes ironic mode, which is appreciated by magazine editors and classroom teachers for its concision, approachability, sincerity, and epiphanic wisdom.” The implication, again, is that this formula will result in a “perfect” poem – and that such a thing as the “perfect” poem exists. Seth Landman’s work is far from workshop-perfect, as it follows few of the formulaic instructions provided above. Landman’s work shines light on a very important fact: by following the right formula, a poem may be friendly, clean, and concise – in other words, perfect – but perfection is far from human. 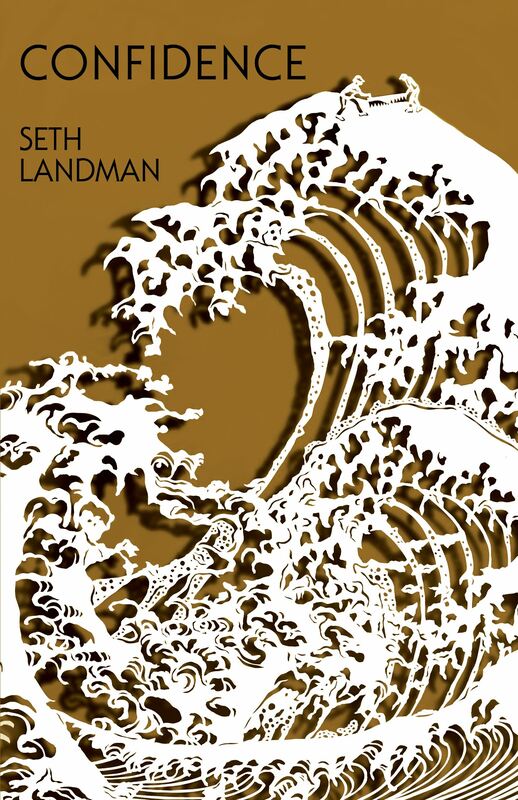 To borrow from an oft-quoted Leonard Cohen song, “There is a crack in everything / That’s how the light gets in.” In cracking apart the workshop’s formula, Landman creates poems that are unmistakably, beautifully human. Just as Landman breaks open the mold of predictability, so too does he shatter the customs of the confessional mode. 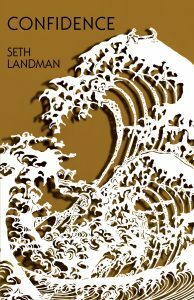 Rather than revealing transgressions, Landman lets the reader into his process of thinking and doubting and rethinking. This is not confession in the sense of Sharon Olds or Anne Sexton, who seek truth in exposed taboo; instead, it’s closer to Freud’s talking cure: through an unfettered, uncensored exploration of the mind, one can discover the truth. +++++ always talking with you. Emma Bolden is the author of two full-length collections of poetry: medi(t)ations (Noctuary Press, 2016) and Maleficae (GenPop Books, 2013). She’s also the author of four chapbooks of poetry – How to Recognize a Lady (Toadlily Press); The Mariner’s Wife (Finishing Line Press); The Sad Epistles (Dancing Girl Press); This Is Our Hollywood (The Chapbook) – and one nonfiction chapbook – Geography V (Winged City Press). A Barthelme Prize and Spoon River Poetry Review Editor’s Prize winner, her work has appeared in The Best American Poetry and The Best Small Fictions and such journals as The Rumpus, Prairie Schooner, Conduit, and Copper Nickel.